It was a cool late night in September several years ago that I found myself sitting underneath the open sky, lit only by the moon and stars. 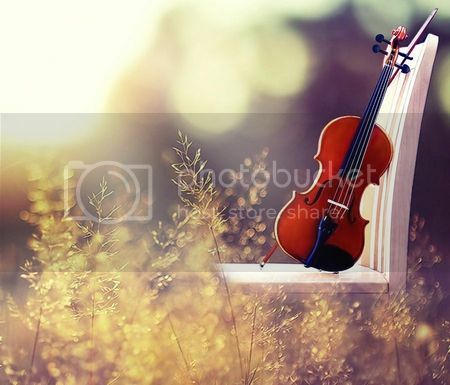 Music flowed freely between the large trees that stood to outline a glorious natural skyline. I wasn't the only one enjoying this magnificent display of music and nature. Without thinking twice, I knew this was where I was supposed to be. That particular moment echoed within me a sense of freedom and creativity everyone longs for. I wasn't alone in my experience, I was joined in unison by hundreds of other campers at the Walnut Valley Festival in Winfield, Ks. While there was a communal air amongst the musicians who attend this open air musical celebration each year, this unique moment can be experienced by anyone willing to take music outside. Just as I felt that freedom that brilliant night in September, we too can give that feeling to our students. We can show them that there are many wonders to playing music outside. We can show them that their music is directly affected by the environment they are a part of. Furthermore, there are many musical components not available to us in the classroom; Bird calls, wind in the trees, rhythm in rain, rustling of the grass and distant sounds of the unknown. We hold a deep connection to these outside nuances. Therefore, we should do everything within our power to show this to our students. As you can imagine, the benefits that are possible by playing music outside are incredible. First, there are physical responses, according the National Wildlife Federation, spending time outside raises levels of Vitamin D, thus helping protect children from future bone problems, heart disease, diabetes and other health issues. It also reports that exposure to natural settings may be widely effective in reducing ADHD symptoms. And it states that children’s stress levels fall within minutes of seeing green spaces. Imagine being able to impact your students health and response to stress by simply going outside. These are just three of over 15 benefits listed in their report. The American Psychological Association also states that; "...being outside enables children to learn more effectively, and improves a child's ability to concentrate. "(Frances Kuo, PhD, founder of the Landscape and Human Health Laboratory at the University of Illinois at Urbana-Champaign.) and these reports don't even begin to show the benefits of adding music to nature. If we are lessessed we are able to express ourselves more freely, as a result. As cultivators of creative education, we need to try to take the opportunity to teach outside. Many have suggested that when teaching a child outside, that the child may easily become distracted. However I have seen that while there may seem to be more distractions, but the child is actually able to concentrate on the music more. When we play for the birds and the trees we are enabled to express ourselves without feeling as though we are being judged. For nature doesn't judge us, we are able to play with our true feelings exposed. We can say what we are feeling without speaking - we play it. We express ourselves in a magnificent juncture of music and nature. See, I knew I didn't spend enough time hiking this summer! The outdoors are definitely rejuvenating. Thanks for reminding me! Taking my viola down to the ocean and playing while the sun rises is like no other feeling in the world. I actually start to stress if I haven't done it within a certain time frame.